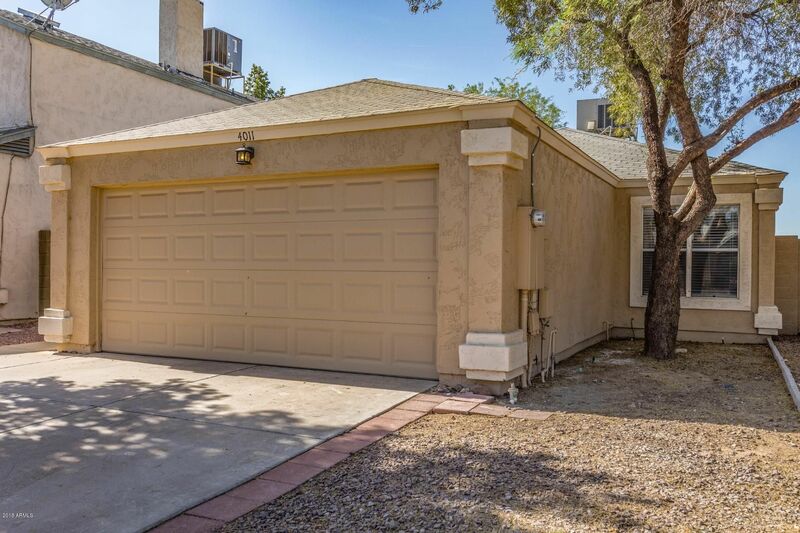 You will love to move right in to your newly remodeled home in North Glendale! Your home is recently painted on the exterior and is shielded by mature trees both in the front and backyards. To top it off in the lush backyard a lawn and full covered patio are included for your enjoyment! The automatic sprinkler system makes maintenance a breeze. Also don't forget the new tan shade screens which have been installed on all sun affected windows to help keep the heat at bay! Save money here!A washer and dryer are included as well.The interior of your home features a designer ''top to bottom'' remodeled home. The vaulted ceilings in the living areas add a touch of drama to the floor plan. The whole interior has been painted.